Phi Phi Ley stands as one of the worldâ€™s most beautiful tropical islands and few visitors to Southern Thailand miss the opportunity to spend a day exploring its unforgettable surrounds. Join us for a speedboat trip out to this stunning paradise, to swim in its crystal clear waters and explore the abundant marine life which calls it home. 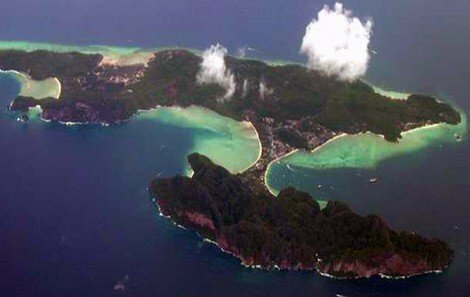 Your Phi Phi Island trip begins with a pickup from your port of call and comfortable minibus transfer to Phuketâ€™s Boat Lagoon Marina. 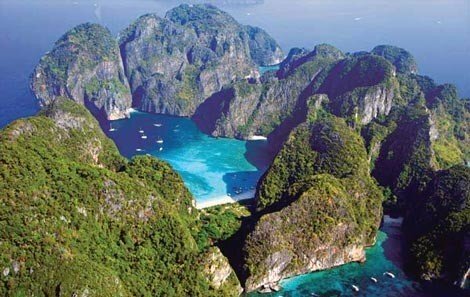 From here you will travel by speedboat to Phi Phi Ley Island and the setting for â€œThe Beachâ€ movie at beautiful Maya Bay. 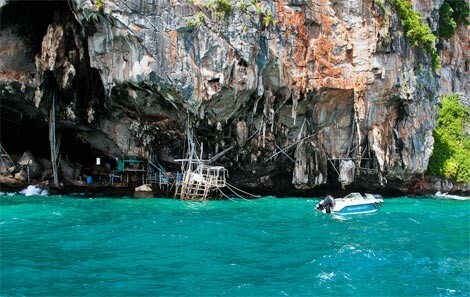 There will be plenty of time for swimming and snorkeling in its picture perfect surrounds, before continuing on to Loh Samah Bay, Pileh Cover and the Viking Cave. 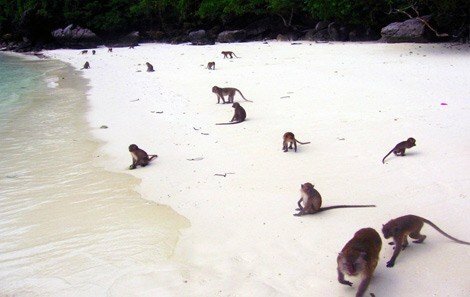 We will then head towards Phi Phi Don Island for a delicious Thai-style lunch, but not before stopping at Monkey Beach to see these cheeky animals at play! 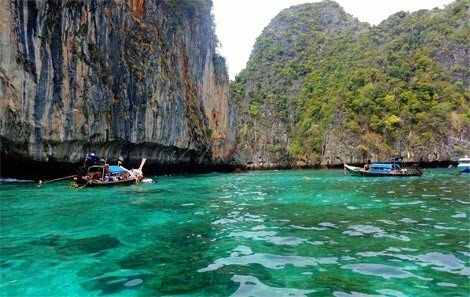 After lunch you will have time to relax within the sublime surrounds of Phi Phi Island, before visiting the pristine white sandy beach on Khai Island for another snorkeling session. At the end of a fun-filled day exploring these paradisiacal islands, your speedboat will return to Chalong Bay where a minivan will be waiting to take you back to your port of call.